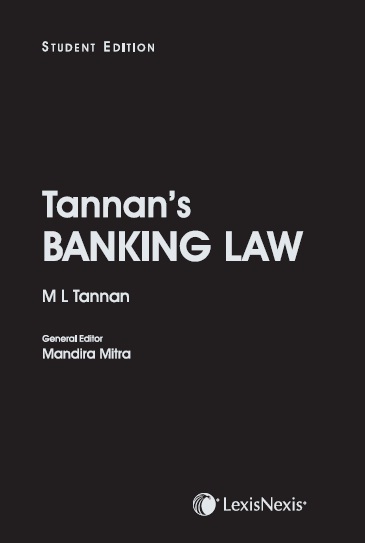 Banking Law & Practice in India by M. L. Tannan is a reference book for banking law in India. The present edition is being published with the idea of presenting some of the key concepts of banking law for students pursuing law, both for undergraduate and post graduate courses and other professional courses as well. The framework of the book has been designed keeping in mind the requirements of course work. The present edition covers chapters on structure of banking in India, the role of the Reserve Bank of India, the relationship of bankers and customers, garnering of deposits and use of funds by banks. It also explains in detail the Banking Regulation Act, 1949, the Negotiable Instruments Act, 1881 and the Debt Recovery laws. The chapters contain extensive references of case laws, RBI circulars and reading material. The book covers the latest developments in the banking industry and policy. In view of the detailed coverage of all the topics, this book will be invaluable for students pursuing LL.B and LL.M and professional courses like Company Secretary and Chartered Accountancy and also for lawyers and bankers.